AUGUST 18--A Missouri woman is facing a felony harassment rap for allegedly placing a phony Craigslist personal ad that included the photo, phone number, and e-mail address of a teenage girl with whom the suspect had been feuding. 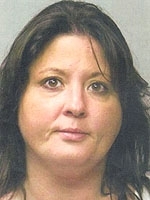 Elizabeth Thrasher, 40, allegedly placed the online ad in Craigslist's "Casual Encounters" section, which caters to those seeking all manner of sexual liaisons. Predictably, the May 1 ad resulted in unknown men calling the 17-year-old girl, and sending her e-mails and text messages, some of which included pornographic images, according to this sheriff's report. Investigators allege that Thrasher and the girl's mother, who is dating Thrasher's ex-husband, had been arguing prior to the Craigslist posting. After the teenager upbraided Thrasher in a MySpace message, the woman retaliated by placing the bogus Craigslist ad, prosecutors charge.